Why Choose Seattle's Mortgage Broker? We are proud to give $300 from every new mortgage we close. We donate equally to the charities below. Each home loan we provide helps a family locally and gives sustainable, healthy economic opportunity to those most in need. We've helped hundreds of Washington home buyers and families secure a low monthly mortgage payment and favorable terms. For each mortgage closed, Seattle’s Mortgage Broker will donate $75 to support Water.org to provide access to safe water and sanitation for people in need around the world. Founded in 1897, they offer pet adoption, humane education, a Pet Food Bank, and spay/neuter services to low-income pet owners. Through outreach, advocacy, and services, Seattle Humane is dedicated to saving and serving pets in need. What sets Seattle Humane apart is that they are an open-door shelter with no time limits. That means they accept every animal in need of help — regardless of age, breed, or physical condition. They provide them with the care they deserve for as long as it takes us to find them a loving home. As a result of their efforts, in fiscal year 2016/17 they cared for nearly 7,000 pets. Hug a Tree is an initiative that is completely funded and executed by Seattle’s Mortgage Broker. Once per year our team ventures out into the Cascades and responsibly plants one sapling for every mortgage we closed. On average a mortgage office uses over 600 pages of paper on each transaction. Our Seattle home loan experts have been originating paper free mortgages for almost a decade. Also, whenever possible SMB encourages the secure transfer of electronic documents like tax returns, bank statements, 30 days paystubs, etc. to reduce paper consumption. Our mortgage origination process uses an average of 7 sheets per transaction. 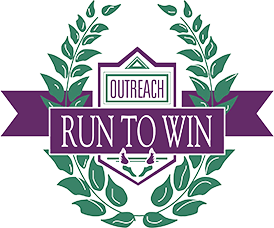 Run to win Outreach is a sports ministry thats reaches out to the greater Puget Sound Area with a positive message of hope that is founded in the Christian faith. Using the powerful platform of sports, Run To Win offers a wide variety of events, organized around sports, throughout the year. Run To Win began in 1991 with a desire to make a difference in kids, athletes and coaches lives through a commitment to Jesus Christ. From the beginning, their purpose has been to “Share Christ through Sports”. Their motivation was to share God’s love and hope through the vehicle of sports and encourage others in their personal journey with the Lord. RTW hosts over 70 camps for youth groups and families featuring professional and college athletes. They minister to the poorest of the poor in 17 countries throughout the Caribbean and Latin America. Food for the Poor provides lifesaving food, secure housing, clean water, healthcare, emergency relief, and education opportunities. More than 95% of all donations, including donated goods, go directly to programs that help the poor. Food for the poor organization gives the poor a chance at a better future, and showing them God’s love.